Daniel Nadler is an American engineer who was born in Egypt to European parents. A passionate photographer all his life, Nadler is a graduate of Cornell University and has traveled throughout the world as a construction manager. He is the author and photographer of China to Order: Focusing on the XIX Century and Surveying Polychrome Export Porcelain Produced during the Qing Dynasty, (Vilo, 2001). Daniel Nadler lives in New York City with his Iranian-born wife Serga. Their new book is called Ethnic Adornments: A Survey of Silver Jewelry. 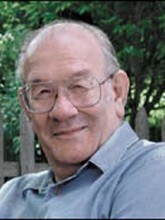 Daniel Nadler passed away in July 2013.